Our partner xRaW recently released a new RUST base design, ideal for getting started on a fresh wipe. Intentionally small, this solo starter base is efficient, expandable, and packed to the brim. It also doesn’t require any blueprints to get going. Keep in mind the total build cost and upkeep. Bases this low in cost are setup and secured quickly. Giving you the advantage to focus on other areas of the game faster. 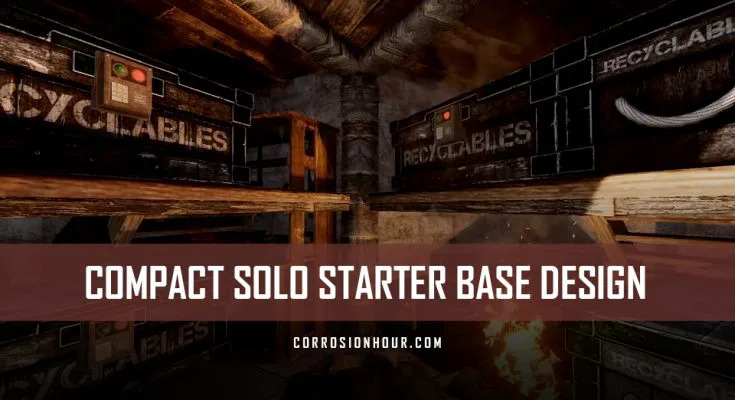 This solo starter base is highly effective when on a populated server. When resources are tight and space is limited, you can’t go wrong with a small profile base. For smaller, starter base designs, it’s unusual to have access to this much storage. Lastly, this base can expand naturally in later stages of the game.